2019 Volvo XC40 reveals its fuel-sipping ways. The EPA has released official fuel economy ratings for the . The figures peg the 248-horsepower XC40 T5 AWD at 23 mpg city, 31 highway and 26 combined, which is officially better than most crossovers, but, as always, your mileage may vary. The more expensive BMW X1 does worse at 22/31/25 city/highway/combined, while the Audi Q3 with Quattro offers a relatively sad 20/28/23 city/highway/combined. To illustrate just how good the Volvo is on gas, consider the Mercedes-Benz GLA250 with 4Matic. It matches the XC40’s fuel economy figures, but it shows up to play with a 40-horsepower deficit to the Volvo—and everybody knows more power is always better. Eventually, Volvo will add several new powertrains to the mix. 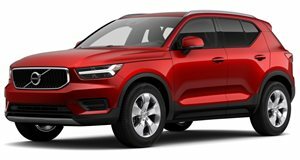 The company’s this summer as the XC40’s entry-level option. A 1.5-liter three-cylinder engine T3 with a standard six-speed manual is on tap for European shoppers, but obviously not for North America. Down the line, the T3’s motor will be paired with a hybrid system, which could and should make the jump across. Volvo also promises a pure electric XC40 is on the way, eventually. Prices for the T5 AWD model start at $35,200, while the less-expensive T4 will launch at $33,200. Look for the eventual plug-in hybrid and pure electric models to top the range.